When I spotted this location a day earlier, it was frontlit and the background was horribly distracting. 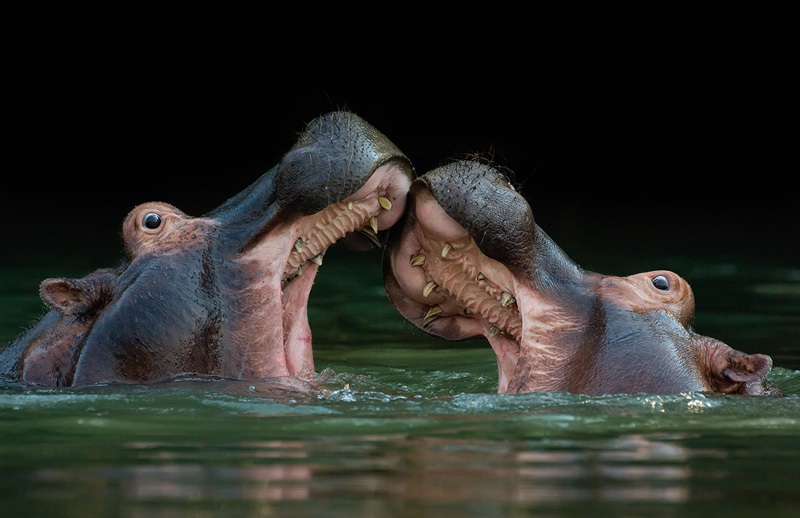 I decided to return the next day at a time that the background would be in the shade and spend some time with a local raft of hippos (Hippopotamus amphibious). After an hour or so, they got used to my presence and that's when these two youngsters started play fighting, which was a lot of fun to watch. Photographed in Lower Zambezi NP, Zambia.